Kate Bosworth and her husband Michael Polish go for a romantic stroll through Central Park on Friday afternoon (May 2) in New York City. The married couple watched people playing with toy sail boats at the Conservatory Water area of the park. Kate and Michael are in town to attend the 2014 Met Ball this coming Monday and they most likely will be attending some pre-parties throughout the weekend. Kate even wore three different dresses the day before while making her way around town. Make sure to check them all out and let us know which was your favorite! FYI: Kate is wearing a Cheyann Benedict jacket, a Raquel Allegra top, a Rodarte boots, Anna Sheffield rings, and Ray Ban sunglasses. 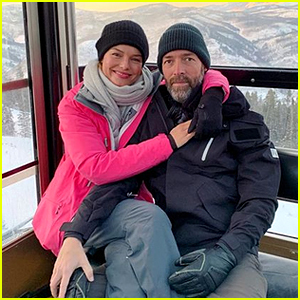 Kate Bosworth & Michael Polish Go Snow Tubing for Her 36th Birthday! 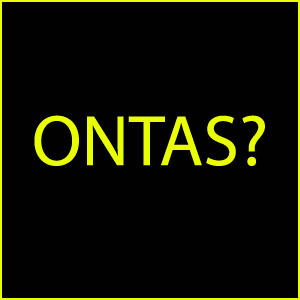 Kate Bosworth & Michael Polish Premiere 'Nona' in NYC! Kate Bosworth & Husband Michael Polish Look So in Love in Paris! Kate Bosworth & Michael Polish Are Opening an Arts School in Montana! 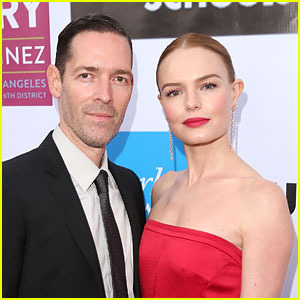 Kate Bosworth & Michael Polish Couple Up at From Slavery To Freedom Gala 2018! 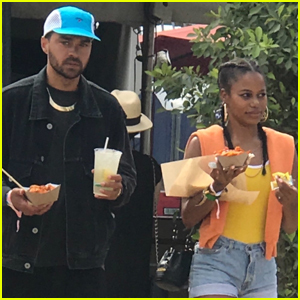 Kate Bosworth & Michael Polish Put Their Love on Display at Coachella! Kate Bosworth & Michael Polish Couple Up for Fashion Event in NYC!